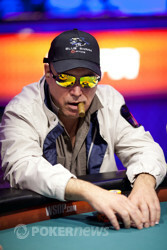 The two-time World Series of Poker (WSOP) bracelet holding, cigar chomping legend, Hoyt Corkins has just been eliminated in 9th place. Here is how the end came about. 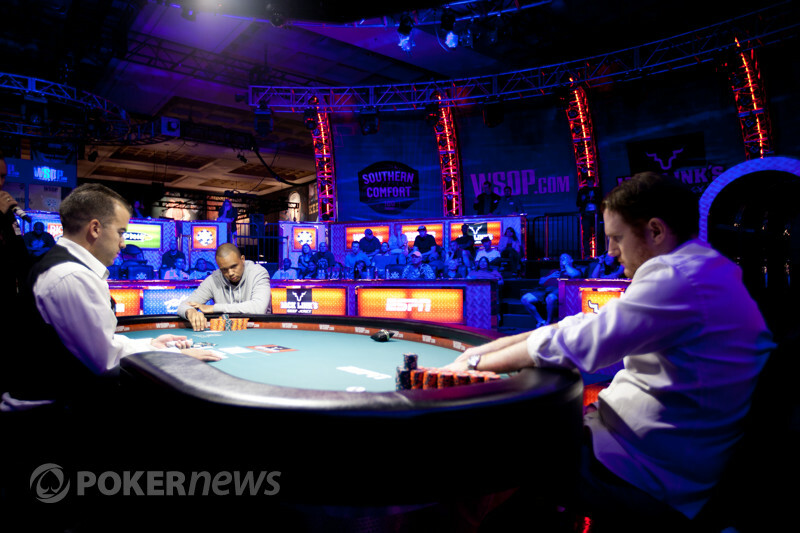 Manuel Bevand raised to 40,000 and Hoyt Corkins moved all-in one seat to his left for 260,000. The action folded around to Bevand and he made the call. The flop of put Bevand ahead and Corkins was looking likely to leave us in the very first hand. The turn added some straight outs for Corkins, but the sealed his fate and he was our first player eliminated.